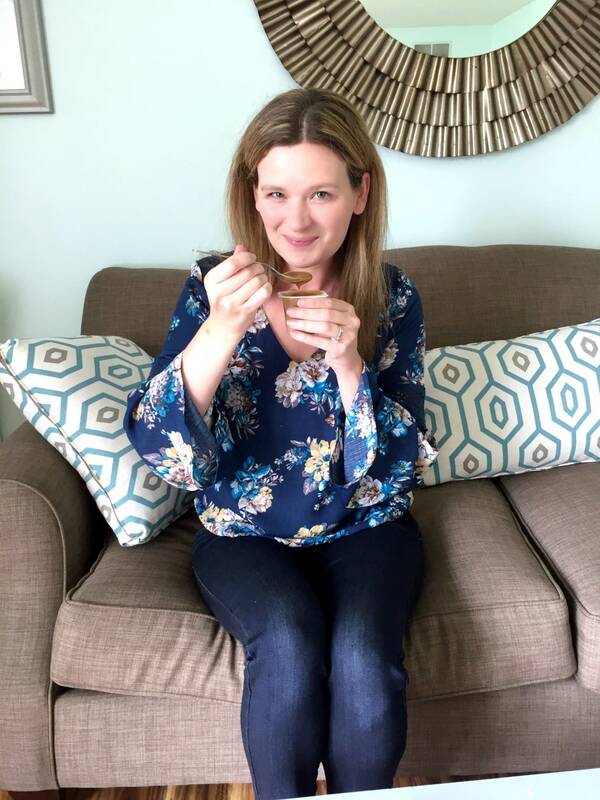 How to Relax After a Stressful Day & a $700 Giveaway! This is a sponsored post on behalf of Café Breaks and Acorn Influence. All opinions are 100% mine. It seems like the month before school gets out is always my busiest and most stressful. I try to tie up some loose ends with work, get some things scheduled for the summer and plan some fun activities for my kids to do over summer break. I slowly seem to be running out of time and it is starting to stress me out. I am constantly going, 24/7 I can’t seem to stop. While I am being pretty productive, I am burning out! My husband keeps trying to tell me to slow down a bit and relax, but I find that almost impossible to do. I have had some issues learning how to relax after a stressful day. Recently I found something that has helped me! When I get stressed, I want to snack. I wish I wanted to work out instead, but I am sure there is some kind of biological reason for this. Sometimes you just have to give into your cravings and enjoy a little treat. I usually love to get a fancy coffee drink at the local coffee house, but I just found something else at my local grocery store that also gives me that kick that I need! Introducing, Café Breaks! 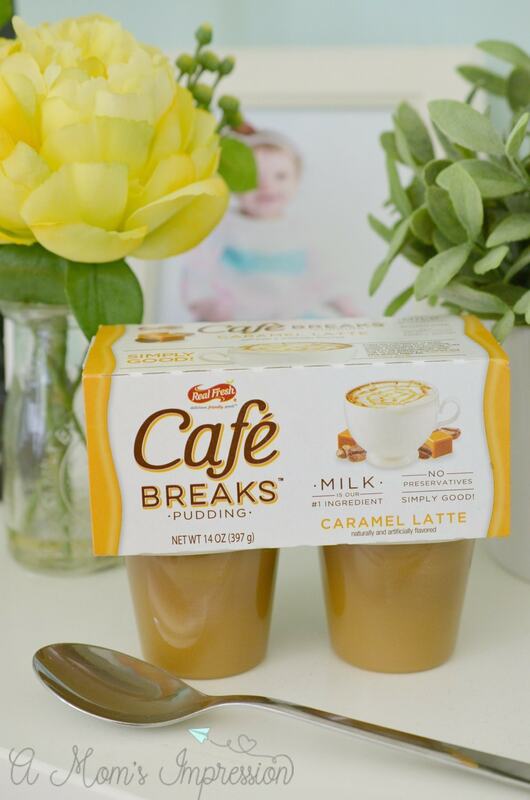 Café Breaks is a coffee inspired pudding that won’t pack on the pounds. This snack is a perfect way to unwind and relax without having to feel guilty about it. They are gluten free and they don’t contain preservatives, best of all they are 100 calories or less per serving! Looking for that extra little energy spike? Each serving contains 12 mg of caffeine to give you that little something to make it through the rest of the day. They are essentially the busy mom’s new best friend! 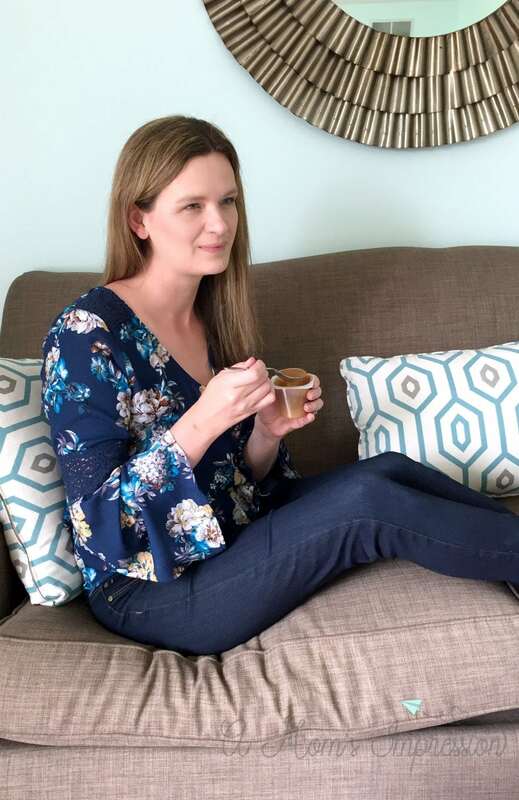 I have found the perfect way to relax and take the stress off is to curl up on my favorite couch with a good book and a cup of Carmel Latte Café Breaks! I’m pretty sure my family is grateful for these little guys too. When you have a more relaxed mommy, you have a more fun mommy to hang with for the rest of the day! 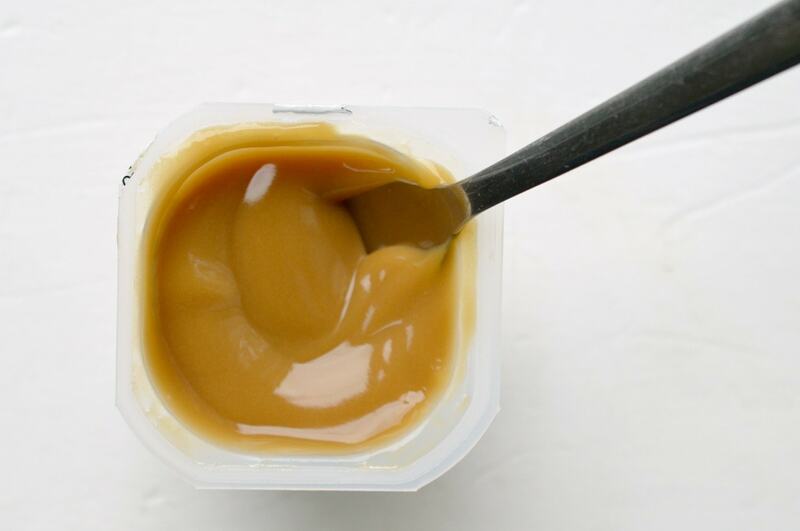 You can find Café Breaks at your local grocery store in the pudding aisle. They are shelf stable! Do you want to relax with your own cup of Café Breaks? Oh, and maybe a little something extra? Three lucky winners are going to win big! Simply enter below! Good luck!